We spent a year or so debating whether to get a dog. Annabel was (quite rightly) wary about the responsibility and how much it would change our lives. I was (as usual) more gung-ho about the whole thing, convinced that we’d figure it out. After much encouragement — and a regular influx of cute dog pics making their way to her phone — Annabel started to entertain the idea. And I started spending a lot of time monitoring the All Dogs Matter website. The big question was which breed to go for. I wanted a dog that I could run with for a decent distance, so that I could keep up my training and also give the right dog a good workout. The only breed we could seem to agree on was a beagle. But deep down, I’d always had my heart set on a husky. However, huskies rarely came up for adoption with All Dogs Matter, the adoption agency we wanted to use. 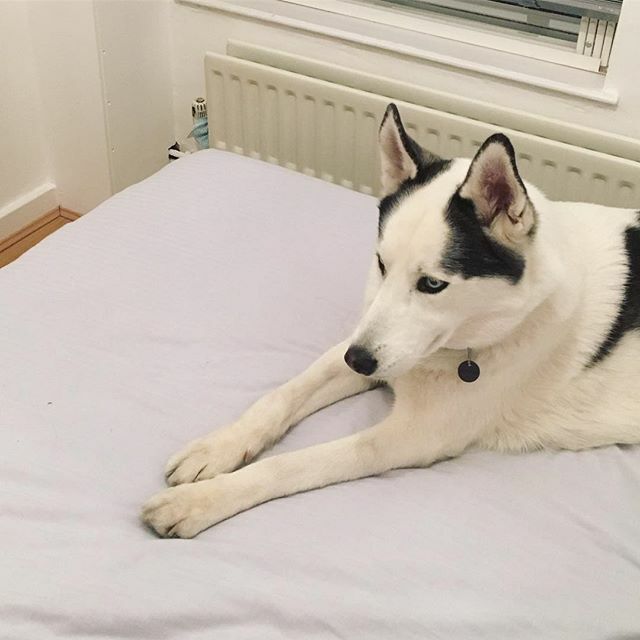 So one day, in frustration, I searched ‘adopt husky London’ and ended up on Gumtree. Lots of dog breeders sell on Gumtree, which is why it was so high in the rankings — but we knew we wanted to adopt, not shop. Then, among all the adorable puppies, was Hyko’s angelic face. My Gumtree adventure started just as Annabel got in the shower. By the time she got out — and she’s a quick shower user — I’d messaged Hyko’s owner, had a rapid text exchange where she quizzed me about our situation, and arranged a time to visit Hyko that week. 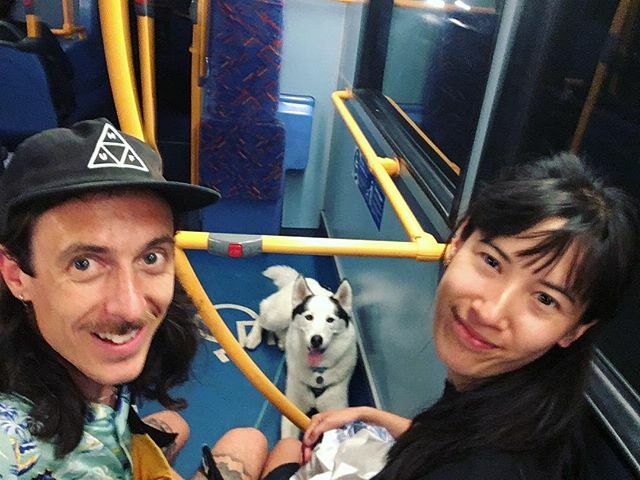 That’s how, on Friday 1st June, we found ourselves on a train to Barking (really), where we met Hyko and Safiya, his owner. 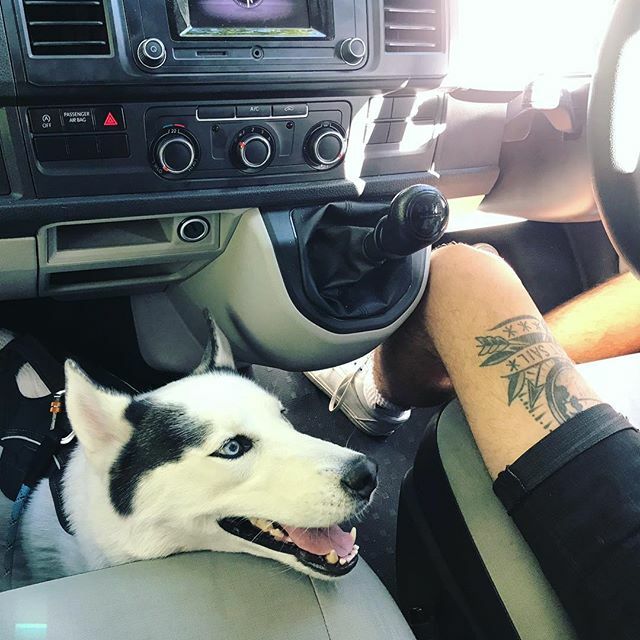 She explained that her work situation had changed and she couldn’t manage Hyko anymore (he can’t be left alone, so he’s suited to someone who works from home). I couldn’t stop touching his beautiful coat. And Annabel felt unexpectedly smitten. It’s tough to get to know the people around you at the best of times, let alone in London. But walking a hilariously good looking dog makes things a lot easier. People approach us all the time to say hello (to Hyko, admittedly) and it’s led to conversations with coffee shop owners, builders, neighbours, the homeless, cute kids, adorable old ladies, and everyone in between. The level of contact we have with the people around us has increased by an incalculable amount — and, with all the division in the world right now, we need as much of that contact as possible. No matter what the weather is, or how we’re feeling, or how busy our diary is, Hyko needs to be walked. For about two hours a day. Otherwise we’re going to have a very boisterous dog bouncing off the walls and howling about his displeasure. This means I get an hour each morning of running or strolling around the neighbourhood — catching up on podcasts or just enjoying the quiet. And every evening, after dinner, Annabel and I spend an hour of quality walking time together, talking about our days. Sometimes combined with a visit to a local pub. It’s easy to get caught up in daily dramas and feeling sorry for ourselves and self-medicating with endless Instagram scrolling. But Hyko gives us something else to focus our attention on. We have to give him his pills (we discovered he had epilepsy a month after adopting him), keep him fed and watered, brush his coat and generally tend to his needs. It eats up some of the time that I’d spend stewing over things that probably aren’t very important. Things move at a different pace when we’re walking Hyko. He wants to sniff or pee on everything, which means you notice things you wouldn’t otherwise notice. We’ve explored all the local parks, walked down streets that we’d never have otherwise come close to, and become intimately acquainted with just how many chicken bones are discarded on Leyton’s pavements. Now, as autumn sets in, we get to marvel at just how much delight Hyko takes in tramping around (and peeing on) the fallen leaves. Despite being woken up in the night by howling when Hyko decides he needs to pee. Despite never being able to leave him alone. Despite no longer being able to go to the cinema (my favourite pastime) Despite having to buy a car to take Hyko on holiday, and a new vacuum cleaner that can cope with all of his fur. Despite it all, adopting Hyko is the best decision we’ve made in 2018. For a regular dose of Hyko, follow @hykothehusky.